Have you heard of Moringa before? I’ve had a few patients bring it up recently and thought I’d share a little information about it. Moringa (Moringa oleifera) is also known as the Ben Oil Tree, Drumstick Tree, or Indian Horseradish. It is a fast growing tree typically cultivated in India, tropical Asia, Africa and Latin America, yielding long seed pods that resemble drumsticks, hence the name Drumstick Tree. Moringa has long been used in eastern medicine to treat many ailments such as low energy, adrenal fatigue and helps to naturally support the liver. As a dietary supplement, moringa is high in protein, Vitamins A, B and C and contains minerals such as calcium and iron. It is also rich in flavonoids, a class of compounds found in plants that contribute to essential plant functions. According to the Food and Agriculture Organization of the United Nations, “Moringa products have antibiotic, antitrypanosomal, hypotensive, antispasmodic, antiulcer, anti-inflammatory, hypo-cholesterolemic, and hypoglycemic properties”. In essence, this makes moringa a wonderful food addition that is nutritious and medicinal. Moringa is particularly mentioned in Ayurvedic treatments as the most nutritious tree in India. In traditional Indian Ayurvedic treatments, moringa is used as a natural and safe detox, often used as a regular tonic of the body. Apart from wellness from within, moringa leaves and barks can be processed into a balm for external application, alleviating joint pains and rheumatism as the plant has a mild analgesic effect. 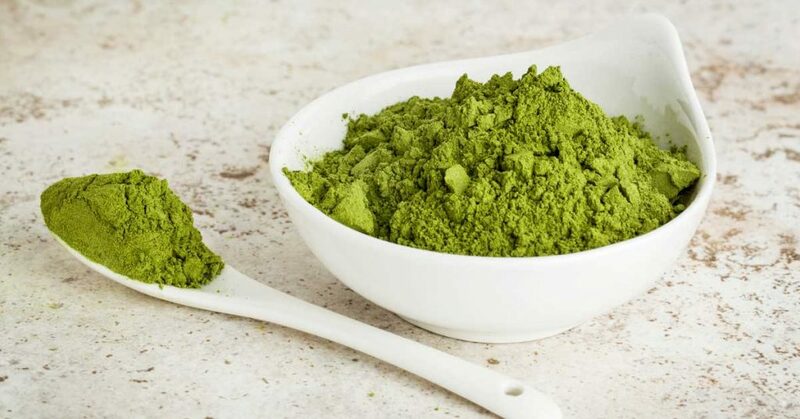 In western herbal medicine, moringa products come in various forms, with the most convenient and widely-available form being powder ground from dried leaves or taken as a supplement in pill form. Nutrient-packed – vitamins A, C, and E; calcium; potassium; and protein. The best way to take moringa depends of what suits your needs and lifestyle best. Due to different manufacturing styles and ways to process the plant, the dosage can be varied. Always check the label for recommended dosage given they have different concentration of active ingredients. Most manufacturers will prepare their formula for easy dosage of a single tablet per day. Moringa leaf powder is typically sold in packets or jars. For the most effective health benefits, it’s best taken raw, as heat may destroy some of the useful and healthful compounds. The general suggestion is to start off slow and add more powder day by day. Start off with a quarter teaspoon added to your smoothies, iced tea, water or sprinkled on your breakfast such as yoghurt or overnight chia pudding and slowly build up to 1 tablespoons a day. No matter how you choose to have your moringa for its therapeutic effect the key is moderation and consuming it in line with you and your body. For some that means being able to handle more at first, for you it might be to only take a quarter of the recommended dosage. It’s important to remember that moringa is ultimately not medication, but a nutrient-rich food that supports a healthy diet and lifestyle. It’s not meant to be a food that gives you everything you need or a cure for all your ailments. If you are pregnant, never consume moringa tree bark or root as it could cause early labour or uterine contractions. If you are menstruating, it may cause excessive bleeding. As always, consult your healthcare professional before incorporating moringa into your daily diet.